He is the best MLB in the draft. If Mack does not come out then he is the only MLB worth a 1st round pick. If Mack does come out the Steeler will sit until someone trades in front of them to get him. Make Wilson has declared. That gives the Steelers a chance. Wilson is a top 25 talent. I want to see him at the combine. He'll be drafted one spot before us. and we will take the best available ATHLETE on the board. I’m gonna start posting some player insights later this week. But something for sure as I start digging: there are some offensive positions that are thin this year (OL, QB, TE) of elite talents, and when that happens talented players at deep positions (edge, LB, S) tend to slide because teams know they can get value later in round 2/3. And teams reach on those thin positions causing more talented players to drop. I'm confident a "good" player will be there. Hopefully it's the right one and the FO makes the right decision. Jets, Raiders, Lions, Packers, Dolphins, Panthers, Bills, Broncos, Bengals, Washington. Add in that the Giants and Jags are likely QB drafting teams, Broncos and Bengals underrated QB drafting teams, Chargers sneaky underrated moving up QB team. All of that together will get some of these guys to slide. 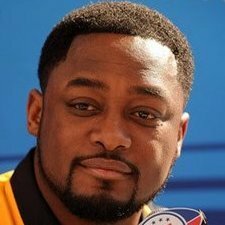 You’ll be able to pretty much lock in the Steelers 1st rd pick down to about 2 positions after FA, the AB outcome and what Tom/Bert do at pro days/dinners. Add Ravens to the WR mix. Put Giants and Jags at the possible QB slots. Haskins is going #1 or #2 depending on what trade happens. I can all but lock in in now as they want an ILB but may need to go and get it. Other than that it is CB. Both of those gone and it is BPA which could be EDGE or WR. Hollins is a good 3rd round target. Moves really well. The issue with him is he is a jack of all trades, master of none. Possibly settling into 1 position will help him. At 238, he would likely need to gain about 10 pounds to play OLB in our system, but for 6'5" he has a long reach and good bend. I'm hoping Kyler Murray's entry into the draft will push some more talent down to #20. How different of players are Devin White and Mack Wilson. I really like the look of Wilson. He reminds me so much of Shazier.